How is low HRV related to longer term recovering alcoholics? We cited and use excerpts from a study (2) into short term and longer term (3) of up to six months which shows that alcoholics with years of recovery still have low HRV although it improves although this is dependent of severity of the alcoholism. “It is known that chronic and heavy alcohol use has a toxic effect on the nervous system, including effects on autonomic nervous system. Specifically, heavy alcohol use can cause cardiac autonomic neuropathy, which in turn, is associated with greater mortality. Resting cardiac autonomic function reportedly favors energy conservation by way of parasympathetic dominance over sympathetic influence. Heart rate is characterized by beat-to-beat variability over a wide range, which has been reported to indicate vagal dominance and thereby parasympathetic dominance. A study of 24-h ambulatory HRV found significantly reduced HRV in alcohol-dependent men with established vagal neuropathy and in some without. Alcohol dependence has been shown to compromise vagal output measured before sleep onset, which correlates with loss of delta sleep and morning sleep impairments. “Heart rate variability (HRV) was studied in 11 chronic alcoholic subjects, 1–30 days after the beginning of abstinence and again 5, 12 and 24 weeks later. Two patients could be re-examined after 19 and 22 months, respectively. In the follow-up study, the total patient group showed a statistically significant increase in HRV with prolonged abstinence of at least 6 months. No recovery of efferent vagal function was found in 4 patients. It is suggested that the vagal neuropathy may improve in chronic alcoholics, but perhaps only in patients with a short to moderately long duration of drinking history (3)”. Thus it seems thee is a partial recovery in HRV as recovery proceeds although there may be work required depending on severity of one’s alcoholism. In our next blog on HRV we will cite and use excerpts from one of the best articles authored by Thayer which is the best explanation of how low HRV keeps an alcoholics attention “locked in” to stuff he/she would rather it didn’t get locked into such as alcohol-related cues. 1. THAYER, J. F., AHS, F., FREDRIKSON, M., SOLLERS, J. J., & WAGER, T. D. (2012). A meta-analysis of heart rate variability and neuroimaging studies: Implications for heart rate variability as a marker of stress and health.Neuroscience and biobehavioral reviews, 36(2), 747-756. 2. Ganesha, S., Thirthalli, J., Muralidharan, K., Benegal, V., & Gangadhar, B. N. (2013). Heart rate variability during sleep in detoxified alcohol-dependent males: A comparison with healthy controls. Indian journal of psychiatry, 55(2), 173. 3. Weise, F., Müller, D., Krell, D., Kielstein, V., & Koch, R. D. (1986). Heart rate variability in chronic alcoholics: a follow-up study. Drug and alcohol dependence, 17(4), 365-368. I want to look at the “neuroscience of alcoholism and addiction from another angle. I want to look at the evident difficulties seen in alcoholics in terms of impaired self and emotion regulation by looking at the relationship of the heart to the brain. Some may find this a more clear, easier way to understand what is impaired in terms of brain functioning in alcoholics. I know I do and looking at the role of the heart in alcoholism has helped me understand the issues more clearly. I hope it does for you too. I will seek to explain how the emotional, stress and thus self dysregulation seen in alcoholics and addicts is indexed or can be seen clearly in terms of a reduced heart rate variability compared to normal healthy individuals. I will explain as we go, how low HRV is linked to this dysregulation gives rise to a stress and emotion reactivity and an impulsivity seen commonly in alcoholics in particular. This low HRV has a interactive effect in the emotion regulation parts of the brain also with one effecting the other. So in terms of say reducing distress, stress and thus craving, for example, we could suggest instead use measures to improve low HRV such as mediation and so on. If we get the heart under more control, the neurotransmission of the brain and stress chemicals too seem also to be affected. It certainly ties in with treatment regimes which advocate strategies of letting go of distress and maintaining balance and serenity. Personally I find it fascinating how the heart can affect the workings of the brain. Before we look at the concept of heart rate variability in relation to alcoholism we need to first to look at the interaction between the head and the heart. We cite and use excerpts from a review (1) by Julian Thayer, one of the leading experts on the subject of heart rate variability (HRV) and it’s relationship to impaired self and emotion regulation. “The intimate connection between the brain and the heart was enunciated by Claude Bernard over 150 years ago. Heart rate variability may provide an index of how strongly ‘top–down’ appraisals, mediated by cortical-subcortical pathways, shape brainstem activity and autonomic responses in the body. Thus, HRV may serve as a proxy for ‘vertical integration’ of the brain mechanisms that guide flexible control over behavior. We have proposed that a core set of neural structures provides an organism with the ability to integrate signals from inside and outside the body and adaptively regulate cognition,perception, action, and physiology. This system essentially operates as a “super-system” that integrates the activity in perceptual, motor, interoceptive, and memory systems into gestalt representations of situations and likely adaptive responses. Thus, it is undoubtedly extremely complex. However, it is still possible that physiological measures exist that can serve as indices ofthe degree to which this system provides flexible, adaptive regulation of its component systems. 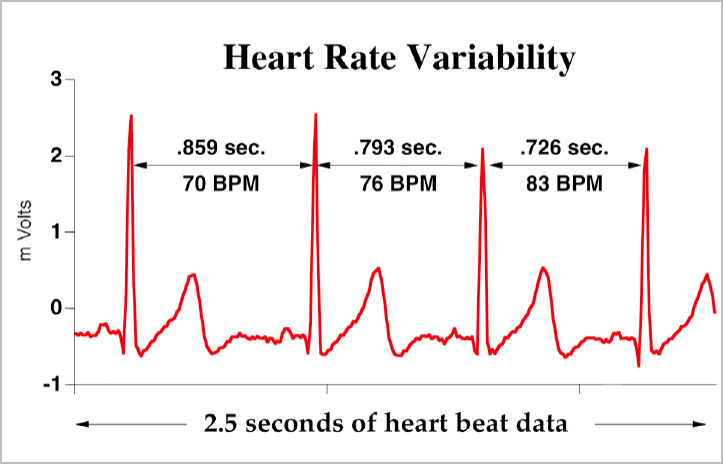 In a number of papers (Thayer and Brosschot, 2005; Thayer and Lane, 2000, 2009), we have proposed that heart rate variability (HRV) may provide just such an index. However if component systems are become unbalanced, and a particular process can come to dominate the system’s behavior, rendering it unresponsive to the normal range of inputs. In the context of physiological regulation, and regulation of the heart specifically, a balanced system is healthy, because the system can respond to physical and environmental demands (Thayer and Sternberg, 2006). A system that is “locked in” to a particular pattern is dysregulated. This is why the heart rate of a healthy heart oscillates spontaneously (i.e., shows high HRV), whereas a diseased heart shows almost no variability under certain conditions. A critical idea is that HRV may be more than just an index of healthy heart function, and may in fact provide an index of the degree to which the brain’s “integrative” system for adaptive regulation provides flexible control over the periphery. Thus, HRV may serve as an easily measured output of this neural network that may provide valuable information about the capacity of the organism to effectively function in a complex environment. Like many organs in the body, the heart is dually innervated. Although a wide range of physiologic factors determine cardiac functions such as heart rate (HR), the autonomic nervous system (ANS) is the most prominent with Although a wide range of physiologic factors determine cardiac functions such as heart rate (HR), the autonomic nervous system (ANS) is the most prominentwith both cardiac vagal (the primary parasympathetic nerve) and sympathetic inputs. The heart is under tonic inhibitory control by parasympathetic influences. Thus, resting cardiac autonomic balance favors energy conservation by way of parasympathetic dominance over sympathetic influences. In addition, the HR time series is characterized by beat-to-beat variability over a wide range, which also implicates vagal dominance as the sympathetic influence on the heart is too slow to produce beat to beat changes. Low heart rate variability (HRV) is associated with increased risk of all-cause mortality, and low HRV has been proposed as a marker for disease (Thayer and Lane, 2007; Thayer et al., 2010b). The basic data for the calculation of all the measures of HRV is the sequence of time intervals between heart beats. This interbeat interval time series is used to calculate the variability in the timing of the heart beat. As mentioned earlier the heart is dually innervated by the autonomic nervous system such that relative increases in sympathetic activity are associated with heart rate increases and relative increases in parasympathetic activity are associated with heart rate decreases. Thus relative sympathetic increases cause the time between heart beats (the interbeat interval) to become shorter and relative parasympathetic increases cause the interbeat interval to become longer. The differential effects of the ANS on…s the timing of the heart beats, are due to the differential effects of the neurotransmitters for the sympathetic (norepinephrine) and parasympathetic (acetylcholine) nervous systems. The sympathetic effects are slow, on the time scale of seconds, whereas the parasympathetic effects are fast, on the time scale of milliseconds. Therefore the parasympathetic influences are the only ones capable of producing rapid changes in the beat to beat timing of the heart. In summary, the heart and the brain are connected bidirectionally. Efferent outflow from the brain affects the heart and afferent outflow from the heart affects the brain. Importantly, the vagus is an integral part of this heart–brain system and vagally mediated HRV appears to be capable of providing valuable information about the functioning of this system. HRV and emotional regulation In addition to being linked to vmPFC and amygdala modulation, emotion regulation is linked to HRV (Appelhans and Luecken, 2006; Thayer and Brosschot, 2005). Individuals with greater emotion regulation ability have been shown to have greater levels of restingHRV(Appelhans andLuecken,2006; Thayer andLane,2009). In addition, during successful performance on emotion regulation tasks HRV appears to be increased (Butler et al., 2006; Ingjaldsson et al., 2003; Smith et al., 2011). We have investigated the role of HRV in emotional regulation attwo differentlevels of analysis. One level is at the trait or tonic level where individual differences in resting HRV have been associated with differences in emotional regulation. We have shown that individuals with higher levels of resting HRV, compared to those with lower resting levels, produce context appropriate emotional responses as indexed by emotion-modulated startle responses, fear-potentiated startle responses, and phasic heart rate responses in addition to behavioral and self-reported emotional responses (Melzig et al., 2009; Ruiz-Padial et al., 2003; Thayer and Brosschot, 2005). In addition, we have recently shown that individuals with low resting HRV show delayed recovery from psychological stressors of cardiovascular, endocrine, and immune responses compared to those with higher levels of resting HRV (Weber et al., 2010). Thus, individuals with higher resting levels of HRV appear more able to produce context appropriate responses including appropriate recovery after the stressor has ended. Another level of analysis is at the state or phasic level where HRV values increase during the successful regulation of emotion during emotion regulation tasks. Thus, it has been shown that phasic increases in HRV in response to situations that require emotional regulation facilitate effective emotional regulation. In an early study, we showed that HRV increased in recovering alcoholics in response to alcohol cues but only if they later reported an increased ability to resist a drink. Those recovering alcoholics that later reported an urge to drink did not exhibit increased HRV during the alcohol cues (Ingjaldsson et al., 2003). A recent replication and extension of this work reported increased HRV during the successful regulation of emotion by either reappraisal or suppression (Butler et al., 2006). We have recently shown that the increase in HRV associated with emotional regulation is accompanied by concomitant cerebral blood flow changes in areas identified as being important in emotional regulation and inhibitory processes (Lane et al., 2009). , the amygdala, which has outputs to autonomic, endocrine, and other physiological regulation systems, and becomes active during threat and uncertainty, is under tonic inhibitory control via GABAergic mediated projections from the prefrontal cortex (Davidson, 2000; Thayer, 2006).
. Thayer and Lane (2000) suggested that a common reciprocal inhibitory cortico-subcortical neural circuit serves as the structural link between psychological processes like emotion and cognition, and health-related physiological processes, and that this circuit can be indexed with HRV. Thus, because of these reciprocally interconnected neural structures that allow prefrontal cortex to exert an inhibitory influence on sub-cortical structures, the organism is able to respond to demands from the environment, and organize their behavior effectively. In the next section we briefly review the evidence for the relationship of HRV to this network of neural structures and further specify the prefrontal regions involved in the inhibitory control of the heart. 1. Thayer, J. F., Åhs, F., Fredrikson, M., Sollers, J. J., & Wager, T. D. (2012). A meta-analysis of heart rate variability and neuroimaging studies: implications for heart rate variability as a marker of stress and health. Neuroscience & Biobehavioral Reviews, 36(2), 747-756. 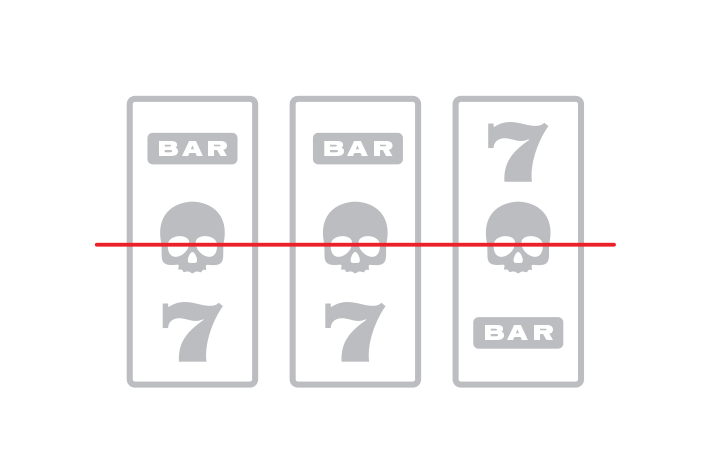 Do Gambling addicts have emotional difficulties? 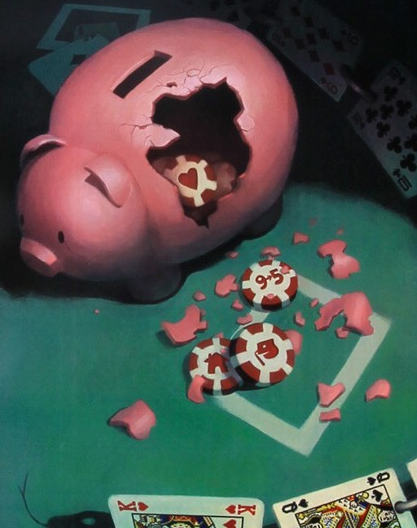 The article I reposted yesterday Gambling with America’s health! This very revealing statement “emotionally comfortable only when ‘in action’.’” ties in with what we have being proposing in this blog. That addicts of various varieties engage in motoric or repetitve behaviours prompted by a desire to alleviate emotional distress, that somehow motoric of repetitive, compulsive behaviours almost people these individuals “regulate” or control their emotions. 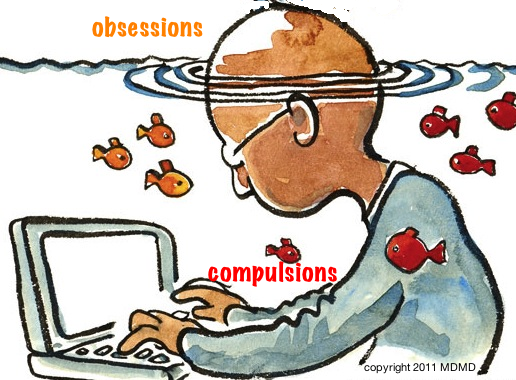 In the language of treatment centres, they “fix their feelings” via these obsessive-compulsive activities. So there must be an inherent emotional processing and regulation difficulty which prompts these addictive behaviours. As we have seen in previous blogs, the inability to regulate and process emotions appears to lead to a recruitment of more motoric or compulsive (sub-cortical) parts of the brain rather than goal-directed, action-outcome, prefrontal cortex part of the brain. This leads to less conscious decision making and more “automatic pilot” type of responding. 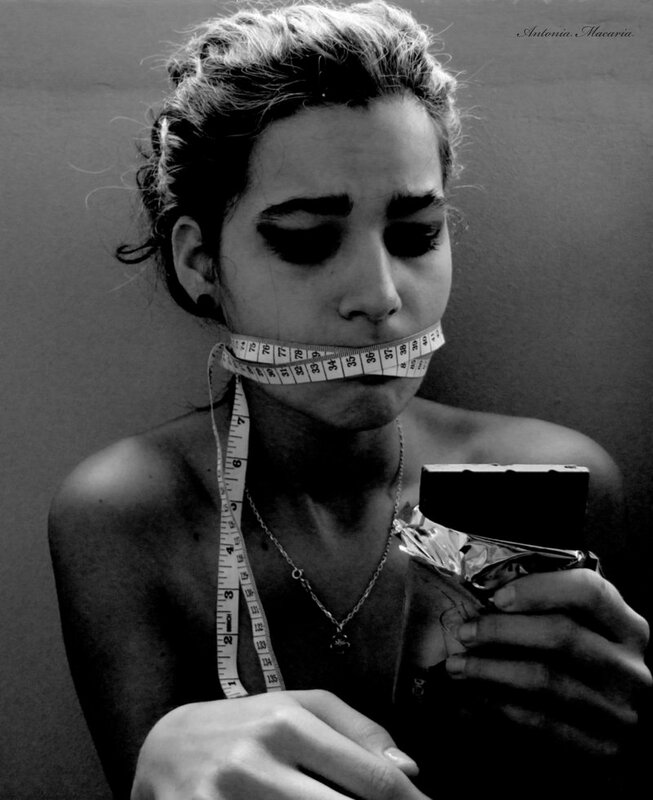 Is there evidence of this emotional regulation difficulty in gambling addicts as there appears to be with alcoholics and those with eating disorders? In fact, we will explore in future blogs how there appears to be an emotional regulation and processing difficulty at the heart of all these different addictive disorders. In a study we have recently come across pathological gamblers reported significantly less use of reappraisal as an adaptive emotion-regulation strategy, and reported a greater lack of emotional clarity and more impulsivity than individuals in the healthy community comparison group. Pathological gamblers reported a greater lack of emotional awareness compared to the healthy control group and reported differences in access to effective emotion-regulation strategies compared to both comparison groups (1). “Failures in control over gambling are likely to be influenced by individual coping styles. Problem-focused coping includes active and effortful problem solving, while emotion-focused coping includes escape and avoidance behaviours (Lazarus & Folkman, 1984). Scannell, Quirk, Smith, Maddern, and Dickerson (2000) suggested that loss of control over gambling is associated with emotion-focused coping such as avoidance or escape. This suggestion has been supported by evidence that gamblers demonstrate deficits in coping repertoires (McCormick, 1994) and some rely on gambling to provide an escape from personal or familial problems (Corless & Dickerson, 1989; Lesieur & Rosenthal, 1991). Finally, in a sample of adolescent gamblers, those identified as at-risk for developing pathological gambling behaviours were those who exhibited more emotion-focused coping styles (Gupta & Derevensky, 2001). Ricketts and Macaskill (2003) investigated several techniques that gamblers use to modify their emotions, one of which was the technique of ‘shutting off’ or using gambling in order to stop an unpleasant emotional state. Patients who used the technique of ‘shutting off’ were often the ones who also reported poorly tolerating emotional discomfort (Ricketts & Macaskill, 2003). According to Baumeister, Zell, and Tice (2007), emotional distress leads to an increase in self-awareness, which consequently leads to a desire to decrease ones self-awareness. but at the cost of self-regulation. If one is unable to self-regulate, this could lead to an addiction or a relapse of an addictive behaviour (Sayette, 2004). emotional responding associated with a range of substance-dependent population. namely expressive suppression and cognitive reappraisal. The use of suppression reduces the outward expression of emotions in the short term, but is less effective in reducing emotions in the long term and is, therefore, considered a maladaptive emotion-regulation strategy (Gross, 1998; John & Gross, 2004). Cognitive reappraisal involves changing the meaning associated with a particular situation so that the emotional impact is altered (Gross, 1999; Siemer, Mauss, & Gross, 2007). habitual use of suppression and decreased use of reappraisal on the ERQ and deficits in emotion regulation across multiple domains on the DERS, the gambling group would rely more on suppression as a habitual emotion-regulation strategy and report increased difficulty regulating their emotions. We also predicted that the gambling group would report less use of reappraisal as an emotion-regulation strategy compared to the healthy control group. of awareness of their emotions so may account for the lack of association between self-reported gambling behaviour and suppression efforts. If gamblers demonstrate less awareness or insight into their emotional states, there may be less need to suppress emotions. Gamblers have been shown to be prone to depression and anxiety (Beaudoin & Cox 1999; Black & Moyer, 1998; Vitaro, Arsenault, & Tremblay, 1999), substance dependence, and greater difficulty managing stress (Blaszczynski & Nower, 2002) and this may may further weaken inhibitory control and increase the already present propensity for pathological gamblers to make impulsive decisions (McCormick, Russo, Ramirez, & Taber, 1984). gambling. Blaszczynski and Nower (2002) suggest that such emotional vulnerabilities make treatment more difficult in this particular group of gamblers and emphasize the need to address these underlying vulnerabilities in addition to directly targeting gambling behaviours in therapy. It may, therefore, be of therapeutic benefit to specifically assess for and target emotion-regulation strategies in this population of gamblers. Given the gamblers in the current study demonstrated limited access to effective strategies for managing difficult emotions, it may be important for clinicians to address coping strategies (including emotion-focussed strategies) as a part of any comprehensive treatment package.